You are browsing the archive for Renaissance. 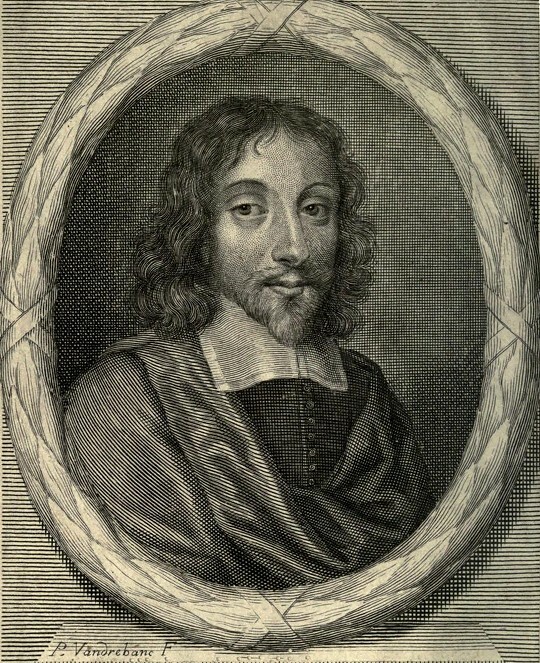 In the latter half of the 17th century the English polymath Thomas Browne wrote Musaeum Clausum, an imagined inventory of ‘remarkable books, antiquities, pictures and rarities of several kinds, scarce or never seen by any man now living’. Claire Preston explores Browne’s extraordinary catalogue amid the wider context of a Renaissance preoccupation with lost intellectual treasures. In an age of data retrieval, when just about anything ever printed can be seen online and is eternally preserved there, and when modern anxiety is fuelled by too much information, we would do well to remember that the loss of books and artefacts was catastrophic until very recently in human history. The great library of the Ptolemies at Alexandria was burnt by the Romans in the first century AD, a legendary collection of ancient wisdom whose loss haunted Renaissance scholarship. European savants of the 15th and 16th centuries were, in the midst of their astonishing revival of classical writing, all too aware of what was irrecoverable and even unknown to them. Sir Thomas Browne (1605-1682) was such a scholar. His vast expertise in areas as diverse as embryology, anatomy, ornithology, ancient history and literature, etymology, local archaeology, and pharmacy, and his participation in the Baconian programme to rescue learning from the misapprehensions and erasures that had accumulated since the fall of man, made him especially sensitive to such losses. Musaeum Clausum, a small tract both playful and melancholy, seems to coalesce early-modern feelings about the unavailability of precious intellectual treasure. 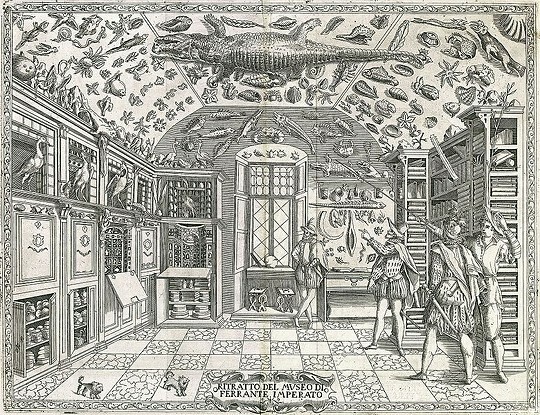 Engraving from the Dell'Historia Naturale (1599) showing Naples apothecary Ferrante Imperato's cabinet of curiosities, the first pictorial representation of such a collection. 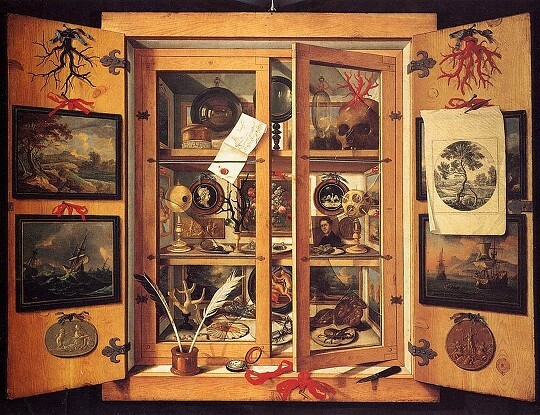 Musaeum Clausum (the hidden library) is a fake catalogue of a collection that contained books, pictures, and artefacts. Such collections (and their elaborate indices) were a common phenomenon from about 1500 to 1700 and after. Gentlemen and the nobility collected as a matter of polite engagement with knowledge and as a way of displaying wealth and learning; savants made arrays of plants, animals, and minerals as museums or ‘thesauruses’ of the natural world to record and organise their findings; imperial and monarchical collections were princely in their glamour, rarity, and sheer expenditure: these might contain natural-historical specimens but also trinkets and souvenirs from far-flung places, curiosities of nature and art, and historically significant items. For example, taxidermically preserved basilisks shared room with a thorn from Christ’s crown and feathered headdresses and weapons belonging to native American tribes. Browne takes these traditions of assemblage and makes a catalogue of marvellous things that have disappeared. The catalogue of Browne’s lost museum speaks of fragmentation, scattering, and loss, but also of eccentricity and comedy. Among its documents are letters and works by Aristotle, Ovid, and Cicero, and an account of Hannibal’s expedition through Alps ‘far more particular than that of Livy’ that purports to tell what sort of vinegar he used to split the stones in his way. Perhaps the most significant item among these is Seneca’s epistles to St Paul, a correspondence which, if it existed, would answer the yearning of Christian Stoics. The pictures in this collection either display tremendous technical skill or depict remarkable events. One picture is a ‘large submarine piece’ showing the bottom of the Mediterranean and the seagrass growing there; another describes a moonlight battle between the Florentines and the Turks; others are snow or ice ‘pieces’ that show a remarkable and alien landscape populated by exotic arctic animals; still others show the great fire of Constantinople, the siege of Vienna, the sack of Fundi, and the Treaty of Cologne, as well as portraits, caricatures, and even the dogs of Sultan Achmet. The curiosities are probably the most peculiar and random group in the collection, everything from an ostrich’s egg engraved with a scene from the battle of Alcazar, to a moist stone that cures fevers, to a ring found in the belly of a fish (reputed to be the ring of the Doge of Venice with which he annually weds the sea), the mummified body of one Father Crispin of Toulouse, and ‘Batrachomyomachia, or the Homerican battle between frogs and mice, neatly described upon the chizel bone of a large pike’s jaw’. Browne’s is one of many examples of this form, the fake catalogue. Donne wrote one; Rabelais included one in Gargantua and Pantagruel. More typically such works were outright spoofs of learned curiosity, send-ups of random assemblages that John Evelyn judged to be no more than ‘indigested chaos’. But Browne, although he recognises the absurdity of some of his own items and is obviously trying for comic effect with certain ones, is probably more interested in a philosophy of antiquities, of the past and of existing knowledge as resurrected and preserved from the ravages of time and forgetfulness. Browne’s aim, like that of the early-modern Baconians, was reparation and restoration of truth, and Musaeum Clausum reads like a wistful evocation of what might have existed in a legendary collection like the Bibliotheca Alexandrina. Perhaps the most powerful rendition of that wistfulness is not in specific works or memorials of the great, but rather in the pitiful remains of Father Crispin, ‘buried long ago in the vaults of the Cordeliers at Toulouse, where the skins of the dead so dry and parch up without corruption that their persons may be known very long after, with this inscription, Ecce iterum Crispinus [behold Crispin again]’. The otherwise anonymous Father Crispin, an unremarkable monk whose name is his only chronicle, is immortalised by the strange atmosphere of the vault rather than for any accomplishment or quality; his survival as a physiognomy that can be ‘known very long after’ is merely a scientific phenomenon, not an intended memorial to an individual. The imperious inscription pathetically asks us with its commanding injunction to behold anew that which was never remarkable or memorable in the first place. Browne’s favourite theme, here and elsewhere, is the randomness of recollection, and Father Crispin, a random survival of the past, is preserved only to be lost again with the collection that contains him. Twenty years earlier Browne had written the astonishing Urne-Buriall, a discussion of mortuary customs. There he asked why it should be that we have record of the epitaph of Hadrian’s horse but not of Hadrian himself, or whether the best men are even remembered ‘or whether there be not more remarkable persons forgot than any that stand remembered in the known account of time?’ That abiding sense of so much forgotten, so little still recalled, animated Browne and other early-modern savants who were conducting a salvage operation for intellectual recovery. Claire Preston is Professor of Early-Modern Literature at the University of Birmingham. Her books include Bee (Reaktion,2006), Thomas Browne and the Writing of Early Modern Science (Cambridge, 2005), and Edith Wharton’s Social Register (Macmillan/St Martin’s, 2000). She recently co-edited, with Reid Barbour, Sir Thomas Browne: The World Proposed (Oxford 2008), and is the general editor of the Complete Works of Sir Thomas Browne (8 vols), forthcoming from OUP. She has written extensively on early-modern topics, including Sidney, Spenser, Shakespeare, Jonson, Dugdale, and Boyle, and on the literature of the American Gilded Age. She is completing a book on seventeenth-century literature and scientific investigation. She has been a recipient of a British Academy Research award, a Guggenheim Fellowship, and the Rose Mary Crawshay Prize (British Academy).